Story Link: theatlantic.comAuthor: Alexis Madrigal | Date Published: 2013-March-22. In 1967, the National Heart Institute and the Atomic Energy Agency began a ten-year effort to develop an artificial heart powered by plutonium-238. The atomic hearts would have pumped human blood with the energy provided by the radioactive decay of that isotope. The effort failed thanks to technical challenges, intra-governmental infighting, and the souring of the public mood about both medical devices and atomic energy, but it remains a fascinating episode at the confluence of two grand American dreams. This is the story told by Shelley McKellar, who teaches the history of medicine at at the University of Western Ontario in the most recent issue of the quarterly journal Technology and Culture. 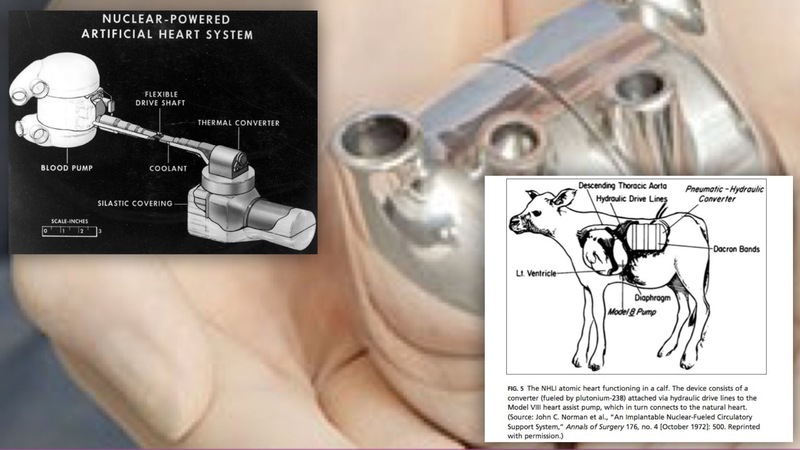 The Federally funded programs continued for a decade, sometimes at cross-purposes, and they foreshadowed the rhetoric that came to surround later attempts at creating other types of artificial hearts in the 1980s. There are lessons to be learned, McKellar implies, about how people receive a particular technology changes along with the social and regulatory environment. Ideas that make sense one decade can seem totally ridiculous ten years later. We may have come full circle. What once was ridiculous is likely now achievable. The technology for deriving power from a Plutonium “battery” has improved dramatically. Although other possible power sources have also improved, none come close to the energy density needed for a totally implantable solution. While I haven’t found anything in open sources to indicate research in this area has proceeded, I think it’s entirely possible that black-budget covert research has continued, given the original reasons for the research are still valid. 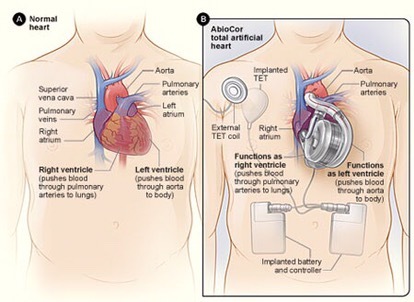 If you take the goal for an artificial heart to be the true replacement of the human heart in perpetuity, then power becomes a primary concern, trumping all other engineering constraints. When contractors like Westinghouse Electric and McDonnell-Douglas offered bids for the government work, they made sure to note the atomic solution as the only possibility.